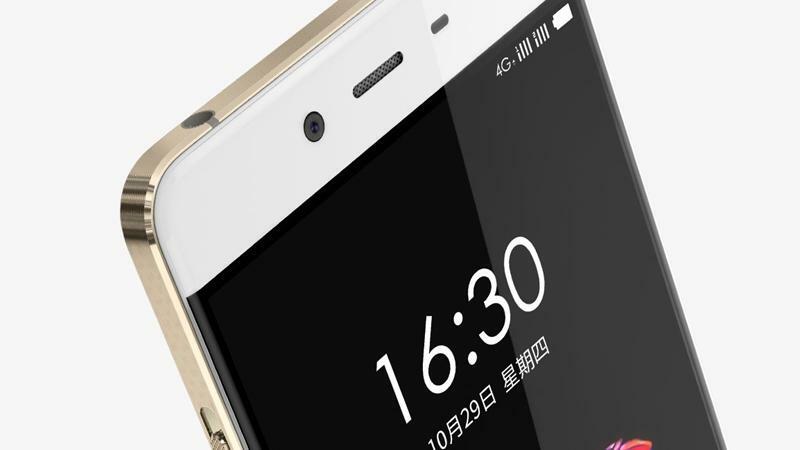 The Chinese manufacturer is prepared to enrich its product line, releasing more than one smartphone per year. After the launch of the OnePlus 2, we thought that the company will start working on another successor, but it seems that a new and different model made its appearance a few days ago. The device is called OnePlus X and it doesn’t have the sandstone black texture on its back and it’s much slimmer, but the processor is weaker and the screen is smaller, but more about its specs you’ll find out from the following article. The OnePlus X isn’t a flagship and it doesn’t compete with Samsung or Apple’s famous premium phones, being instead a cheap alternative to the first OnePlus devices. The phone is sold in the US for $249, while in the UK it will cost £199 (the standard Onyx model), but there will be a secondary and more premium Ceramic version which will be available in Europe at a price of £269 and will be sold only 10,000 units, so if you want to get your hands on this device, you need to move fast. The OnePlus X was officially announced on October 29 and the phone won’t be available in all stores this time either, because the company is still using the annoying invitation system, or it has limited in-store sales and runs social media campaigns. All persons who manage to order an OnePlus X will be allowed to give away invitations to their friends. Recently, the Chinese manufacturer announced on its website that the OnePlus 2 and OnePlus X devices will benefit from an insurance policy called On-Guard, which covers accidental damage due to drops, or liquid damage and this offer will be available worldwide. The owners will pay a 12-month policy which will cost €39.99, while the 24-month policy will cost €64.99. The OnePlus Team posted on the official blog that “We are proud to introduce a new warranty program in collaboration with multiple insurance leaders worldwide for the OnePlus 2: On-Guard by simplesurance for Europe and B2X OnePlus Service2 and Protect2 for India. We believe these ventures will help to create a more positive user experience for our fans. We’re not offering this to make money – in fact, it’s quite the opposite. This is an investment we are making to focus on improving our customer support until it is closer to perfect. These services will be available on November 2 , 2015, in the European Union and in other markets in the near future”. This means that if you already bought the new OnePlus X, then you can purchase the insurance policy as well. 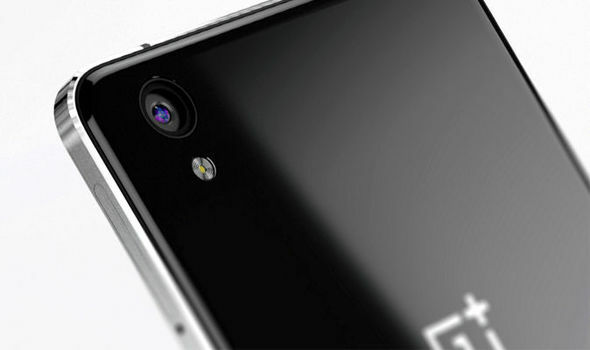 We didn’t say much in the intro about the design of the OnePlus X because we wanted to describe it in detail. Unlike the OnePlus 2, which comes with the standard sandstone black rear panel, this device has two variants of materials for its back – black glass (Onyx) which reminds us of the iPhone 4S and Ceramic, which is the fancier version with a high-end feel. The phone is very slim (6.9mm), but for a better protection of the sides, the manufacturer added an anodized metal frame which houses the ports and the bottom facings speakers. The OnePlus X is 140mm tall, 69mm wide and the Onyx model weights 138grams, while the Ceramic model is 22grams heavier. The rear camera is located in the upper left corner, but there is no fingerprint scanner under screen, because the phone has only three capacitive buttons. As for the screen, it uses the AMOLED technology from Samsung and its diagonal measures 5-inch. The screen, which is surrounded by a thin bezel, supports a full HD 1080p resolution with 441ppi, being sharper than the OnePlus 2. The OnePlus X isn’t as powerful as the OnePlus 2, which has a 64bit Qualcomm MSM8994 Snapdragon 810 octa core processor which is backed by 3GB or 4GB of RAM. For this model OnePlus used the older 32bit Qualcomm Snapdragon 801 quad-core 2.3GHz processor with which were equipped many flagships in 2014. It may not have the latest configuration, but the OnePlus X is a decent device which supports multitasking and the processor is helped by the 3GB of RAM, which squeezes more from this 32bit Qualcomm processor. The games run without any problems, as the Adreno 330 has obtained great results in benchmarks. You should know that the device uses SIM 2 slot, so if you need more space to store your videos, music or games and the internal memory of 16GB is insufficient, then you can add a microSD card and expand its capacity up to 128GB. In terms of connectivity, we must specify that the OnePlus X allows you to use two SIM cards, but you will need to give up on the microSD card. Also, the phone supports 4G LTE, GPS, Wi-Fi 802.11n, Bluetooht 4.0 and microUSB. The battery is non-removable, but that’s not a big surprise, while its capacity is considered a bit low at 2525mAh. The rear camera uses Samsung’s ISOCELL technology and it supports a resolution of 13MP, while the aperture is f/2.2. The camera is able to focus very fast (phase detection pixels) and takes saturate images with an optimized white balance. Likewise its siblings, the OnePlus X records only Full HD videos, but it has a more advanced front camera of 8MP.